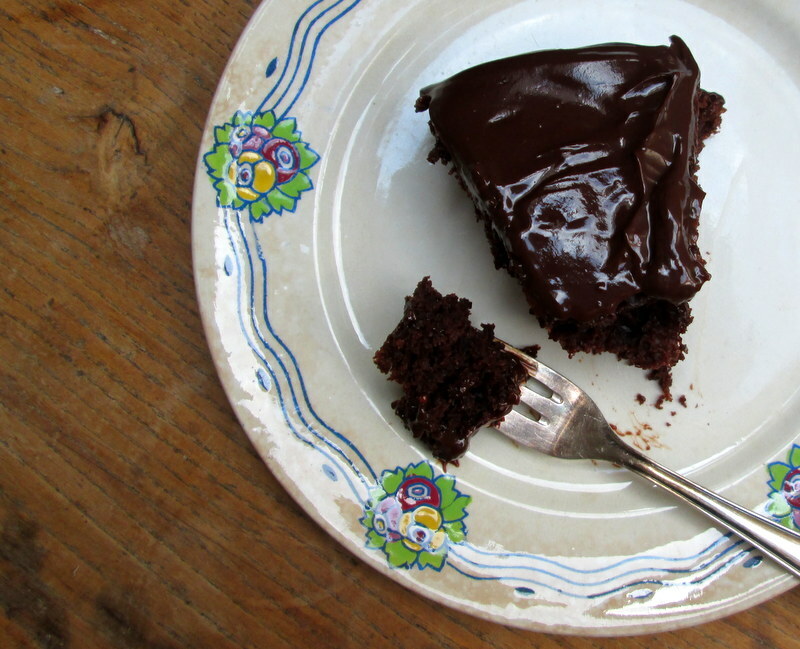 Adapted from kurryleaves‘ recipe for egg-less chocolate cake. Today is my friend Elisa’s birthday, and she’s allergic to eggs. Of all things! This sent me into a birthday cake panic. 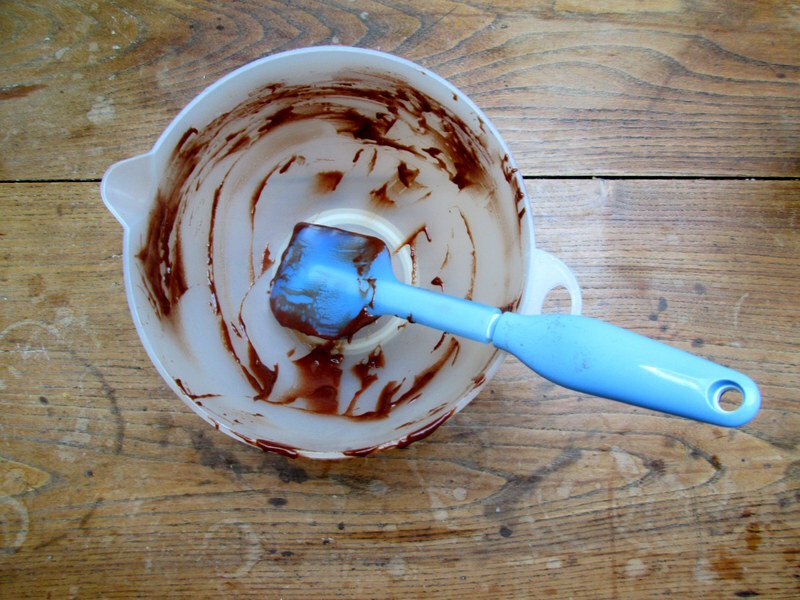 I scoured the interwebs, and stumbled upon this here mostly vegetarian and vegan cooking and baking blog. The pictures looked yummy, and a lot of the vegan ingredients in the recipe could be substituted for regular ones (a little less daunting for a vegan-baking novice such as myself). 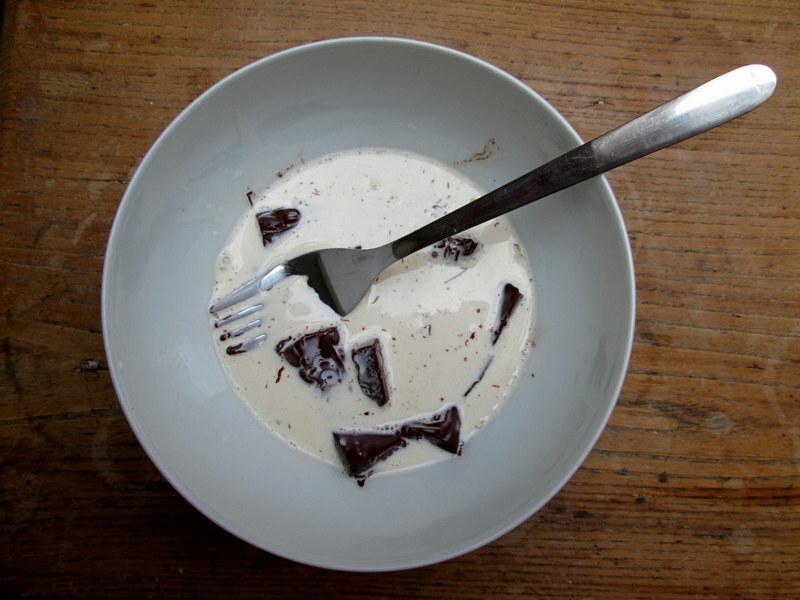 I don’t like fussy recipes, and this one wasn’t, so I decided to give it a go. 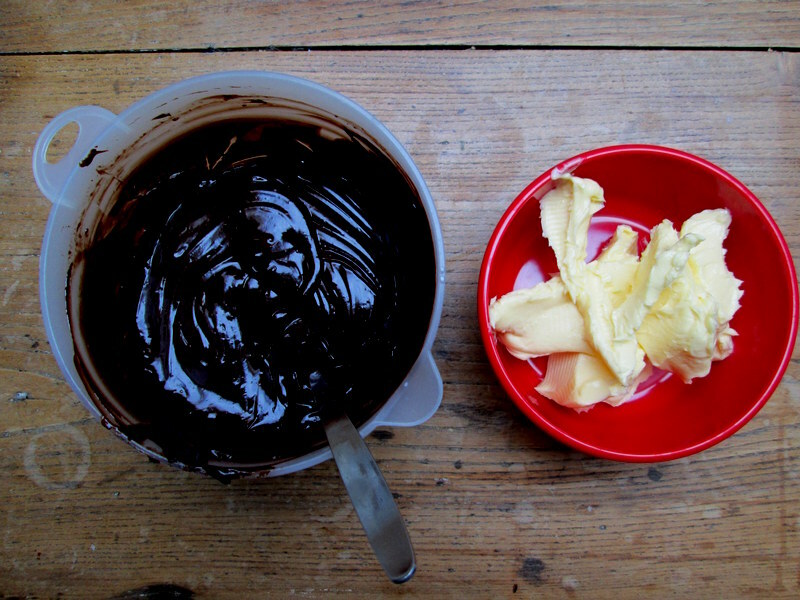 For icing, I went with David Lebovitz’ recipe for chocolate ganache, as I’ve tried it before and it’s rich and yummy! 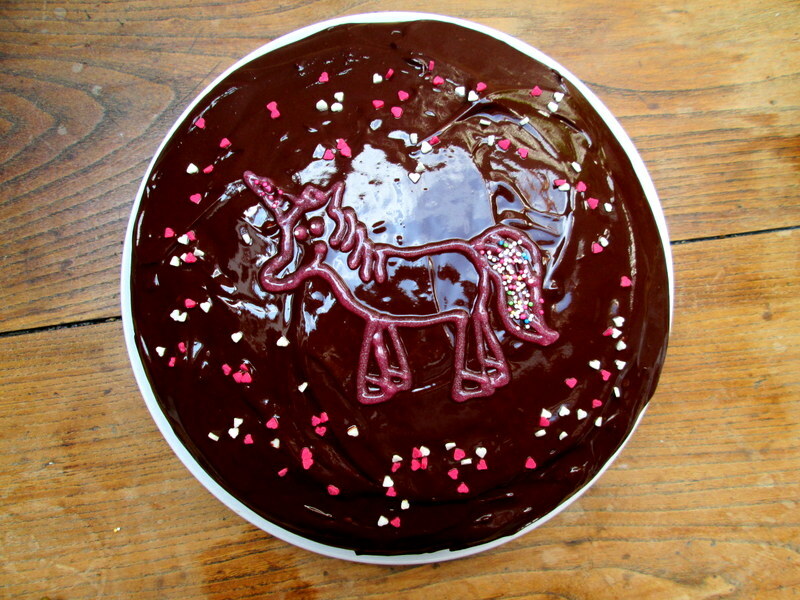 A good way to spruce up a cake I feared might be less than exciting. I’m extremely wary of baking without eggs. My only previous experience with it was several batches of (much, much) less than perfect lemon-coconut cookies (also for Elisa – after 5 different, all failed, tries, I gave up and made these yummy cocoa biscuits instead). 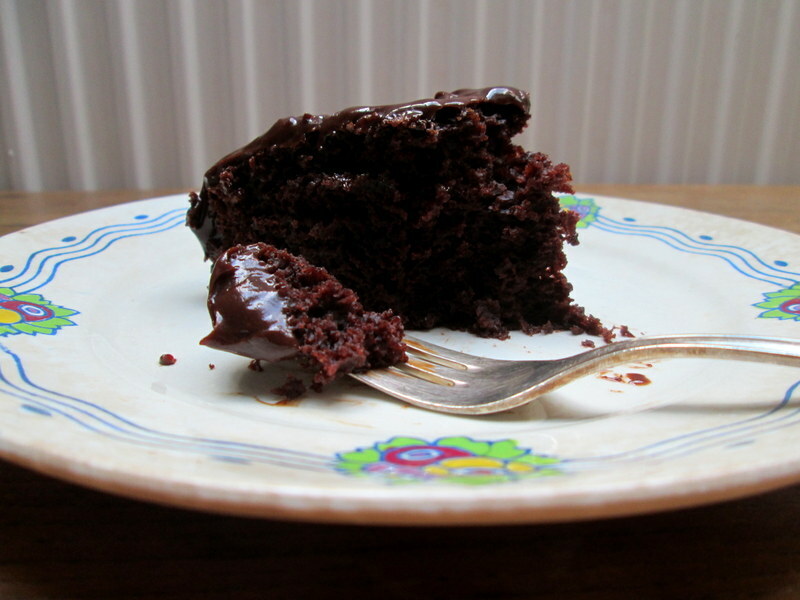 I’m also not a huge, huge fan of chocolate cakes… I find that they often look very appealing, but taste a bit bland! 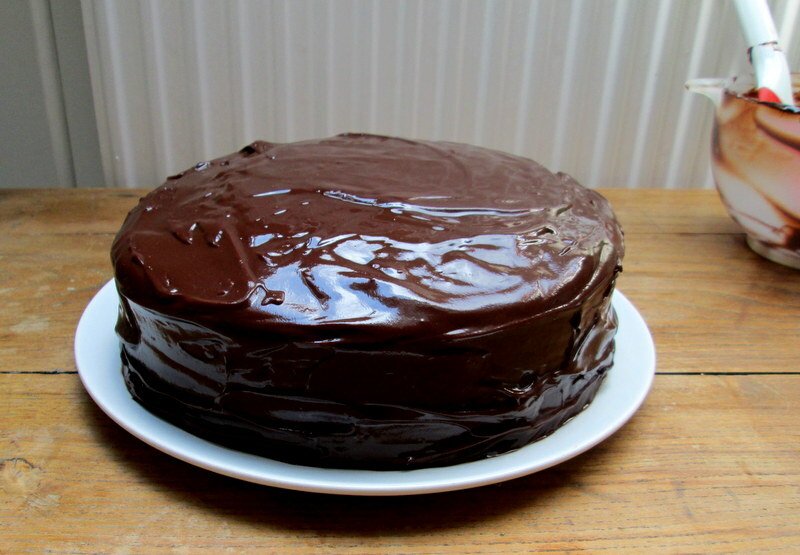 This one turned out fine though – the cake itself is a bit too bland for me, personally, but light and moist, and since the ganache packs a serious chocolate punch, best the cake be a little less imposing! 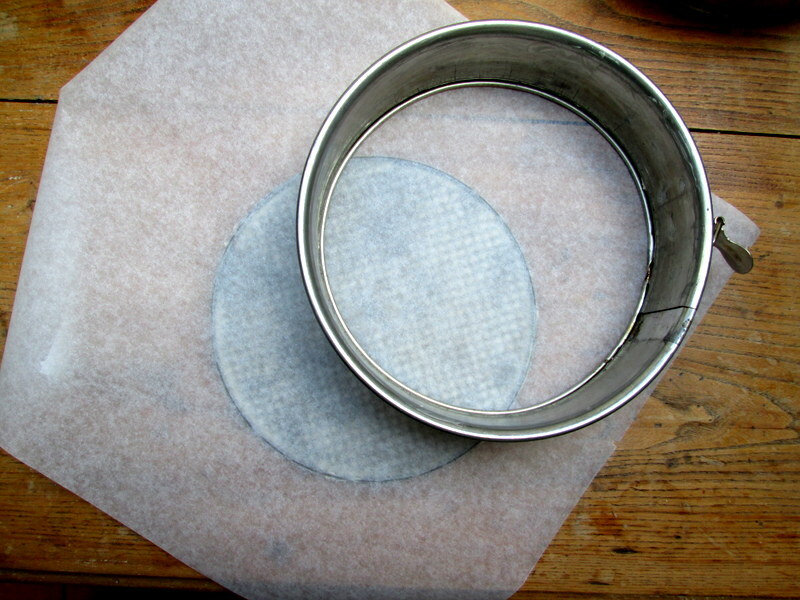 And here’s how to turn it all into a cake! 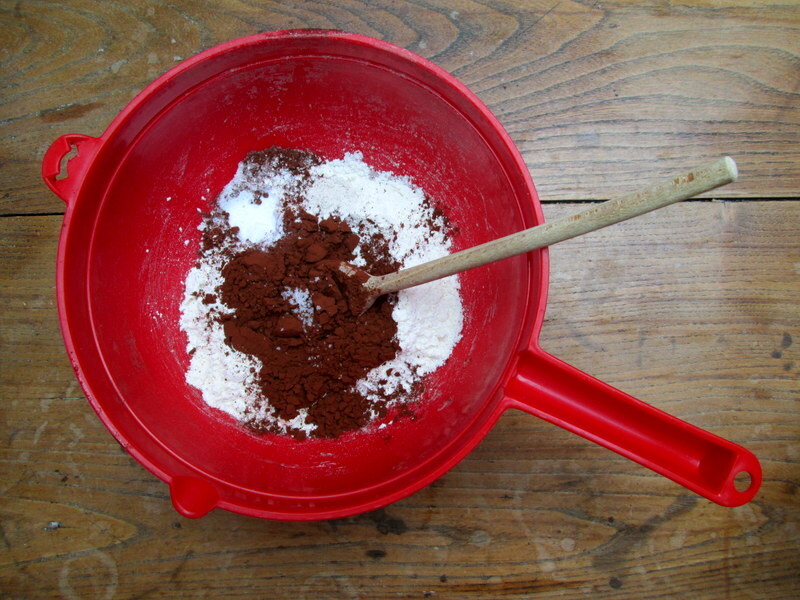 Mix together flour, cocoa powder, baking soda and salt in a bowl. 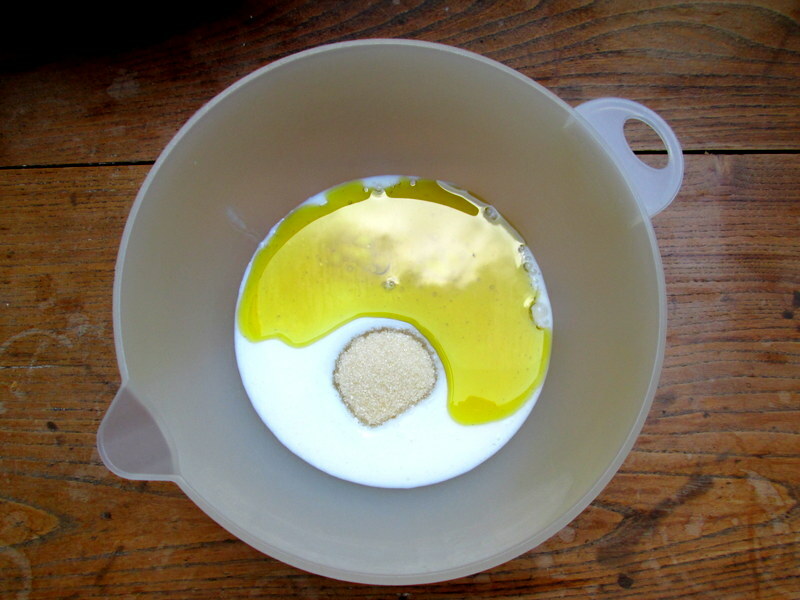 In a separate large mixing bowl, combine the sugar, oil, vanilla and butter milk. 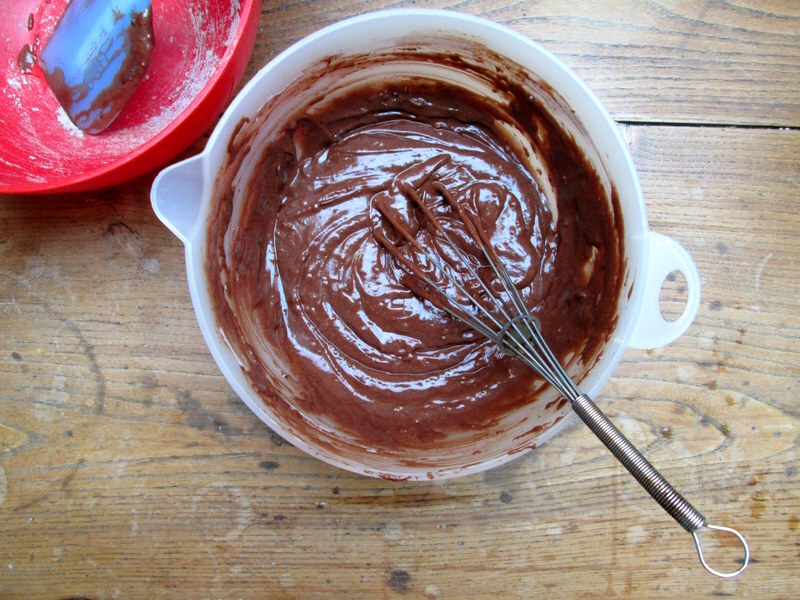 Whisk in the dry ingredients. 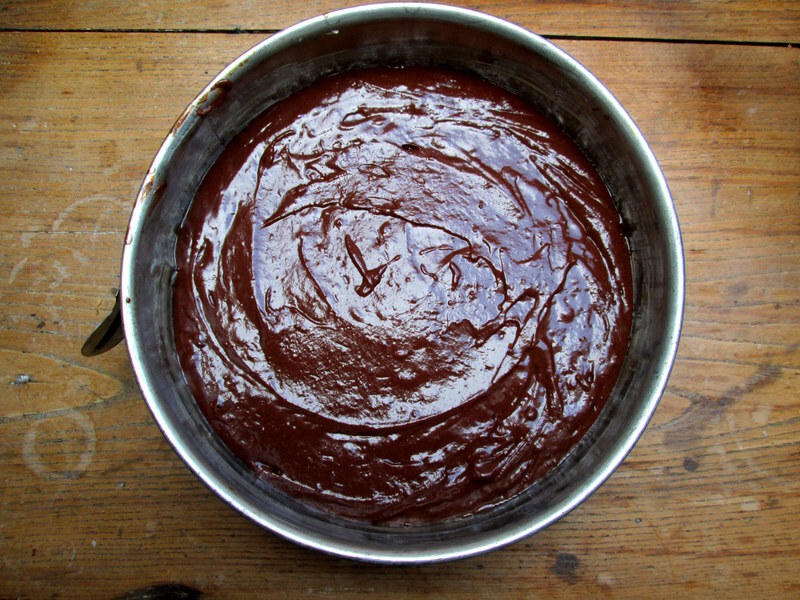 Let the ganache cool down and thicken at room temperature for about an hour (unless you haven’t got that kind of time, in which case do as I did and put the ganache in the fridge for a bit! 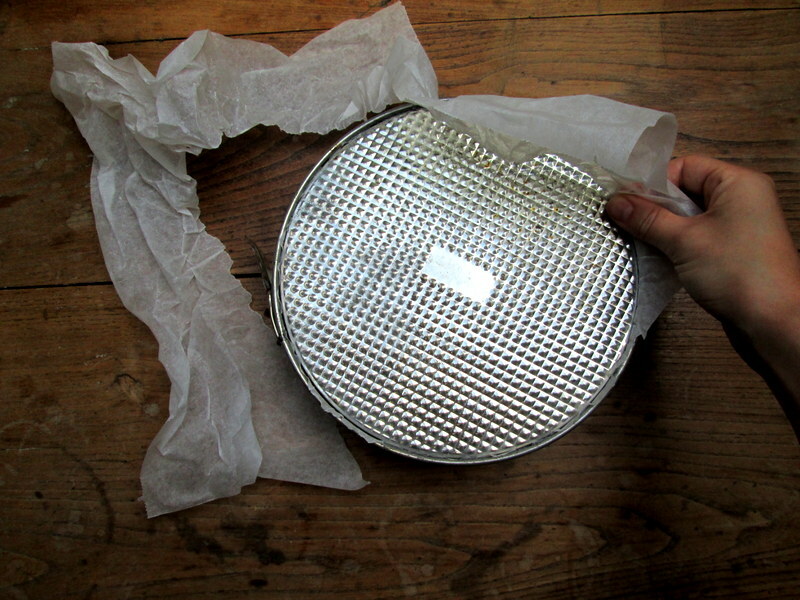 It will be less shiny though, once the cake has been frosted). 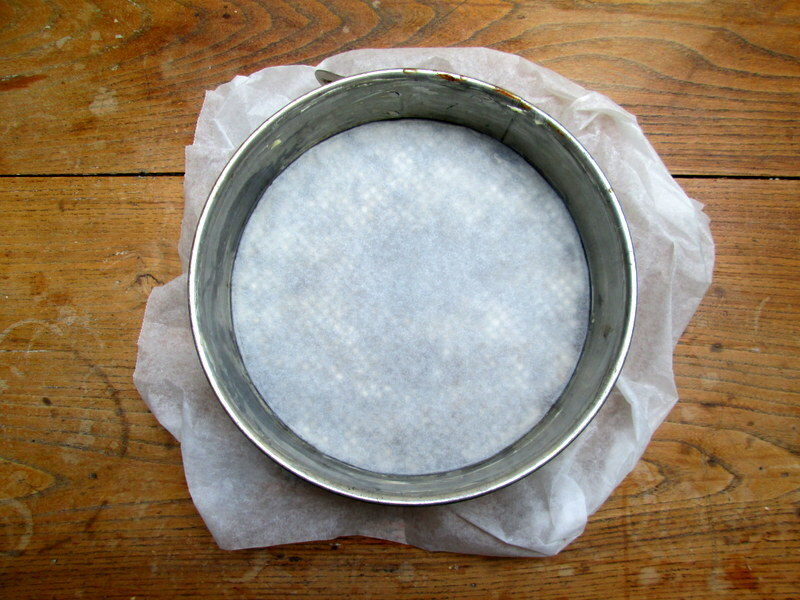 Once the cakes have cooled, take them out of the tins and place the first layer on a cake dish. 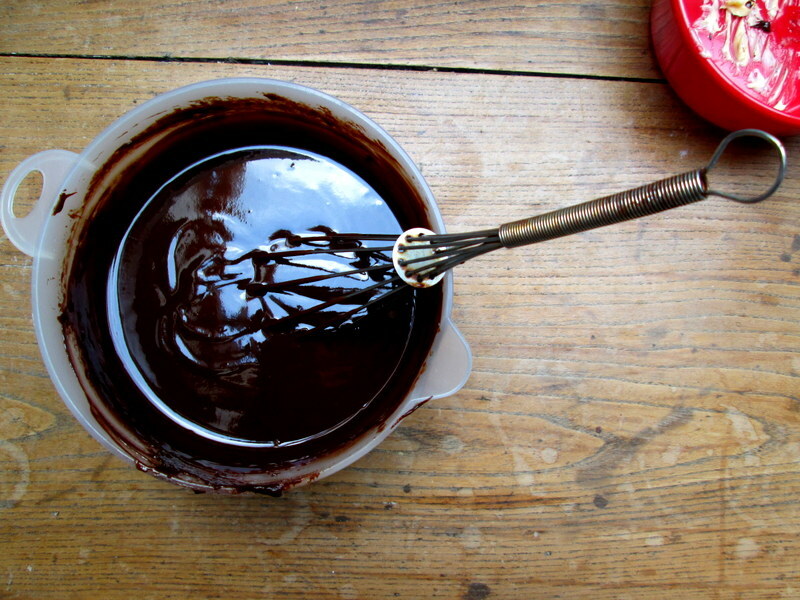 Spread half of the ganache on the first layer, then place the second layer on top and press down a little. 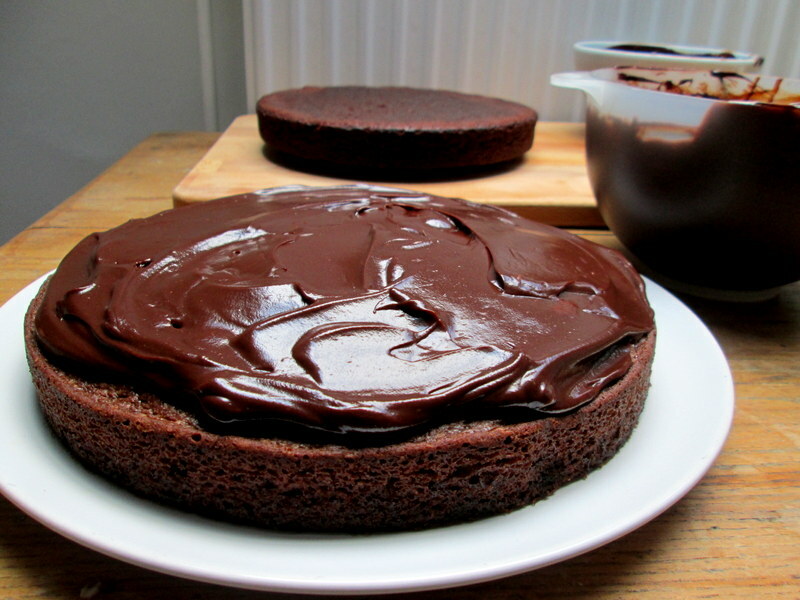 Ice the top and sides of the cake with the remaining ganache.